Vongola GP (Gran Prix) is spin-off series of Katekyo Hitman Reborn!, made by Takayama Toshinori. 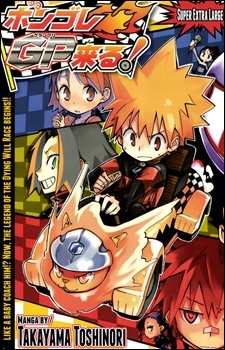 Manga introduces Tsunayoshi Sawada, called No-Good Tsuna who is descendant of world's legendary racer, Primo and his side-kick Gokudera Hayato. They battle on various members from the original Katekyo Hitman Reborn! plot.